The art of psychotherapy has been defined as the capacity of the psychotherapist’s mind to receive the psyche of the patient, particularly its unconscious contents. This deceptively simple definition implies the enormously complex art of receiving the most disturbed, dissociated, maddening, often young and primitive, frightening, and fragmented aspects of the patient’s multiple ages and selves, in the hope perhaps that we might make available to our own mind, to the patient’s mind, and within the therapeutic relationship, whatever it is that we discover together, perhaps with the possibility that this may allow that these dissociated, fragmented, lost, and potentially transformative aspects of self might become more accessible to both therapist and patient. The complexity of this process is further intensified when cultural difference is an important aspect of therapeutic engagement. This paper will explore this rich and complex art. It will include exploration of psychoanalytic, relational, and transpersonal psychotherapeutic perspectives as they inform the potentials and mysteries of this deeply receptive process. 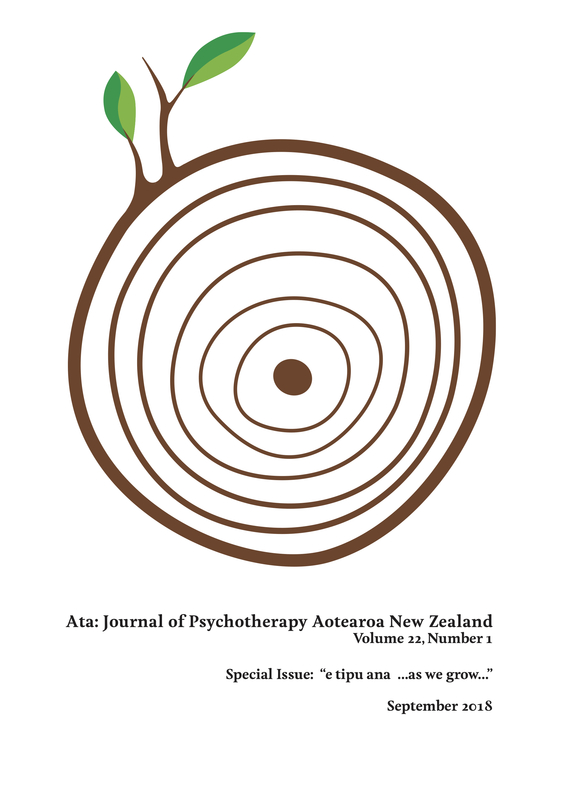 The paper will consider the potential this receiving of the other might have for the growth of both the therapist and patient within the life span of clinical engagement and will include consideration of implications for cross cultural clinical work. Clinical vignettes illustrating and informing the ideas explored in this paper will be woven throughout the paper. Kua tautuhia te toi whakaora hinengaro ko te kaha o te hinengaro o te kaiwhakaora hinengaro ki te pupuri i te hinengaro o te tūroro, mātuatua nei ko ngā matū maurimoe. E tohu ana te tautuhinga ngāwari nei i te kaha uaua o te mahi pupuri i ngā maramara tirohanga, ngā tau, ngā whaiaro tini o ngā tūroro arā noa atu te wairangi, te noho wehe, te kārangirangi, he taiohi, he māori, whakawehiwehi, i runga i te wawata tērā pea ka tuwhera ki ō tātau ake hinengaro, ko tō te tūroro ki waenga hoki i te whakapiringa haumanu. E kene pea mā te mea ka kitea, e tuku ēnei tirohanga pūreirei, kongakonga, ngaro, ā, ngā tirohanga hurihanga whaiaro e whakamāmā ake ki te kaiwhakaora me te tūroro. Ka kaha ake te auatanga o tēnei hātepe i te mea ko te rerekētanga o te ahurea te wāhanga nui o te mahi haumanu. Ka wheraina e tēnei tuhinga te tirohanga toitaurea mōmona nei. Ka whakaurua te wherawherahanga o te wetewetenga hinengaro, te tātanga, me ngā tirohanga whakaoranga hinengaro wairua i te mea ko ēnei ngā kaiwhakamōhio i ngā pirikoko o tēnei hātepe toropupū tino hōhonu. Ka whakaarohia e te pepa nei te ēkene pea o te whakaurunga mai o tētahi kē atu mō te whakatipuranga o te kaihaumanu me te tūroro i roto i te wā huitahi ai. Ka whakaarohia ake anō hoki ngā hīkaro mō te mahi haumanu ahurea whakawhiti. Ka rarangahia ngā kōrero haumanu e whakaahua e whakaatu ana i ngā whakaaro tūhuraina i roto i tēnei tuhinga.